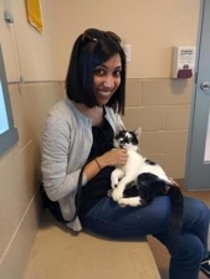 Priyam Desai is a second-year law student and Co-Chair for ELS. Priyam received her undergraduate degree in Environmental Policy Analysis and Planning from UC Davis and took some time off to work prior to law school. She has worked in government consulting focusing on environmental data management, at Sierra Club supporting the coal campaign, and most recently spent three years at PG&E focusing on renewable energy issues. As a law student she has worked for the US Attorney's Office and the California Energy Commission. Outside of ELS, she is also a member of the UC Davis Law Review, part of the Negotiations Team and on the board of Student Animal Legal Defense Fund. In her free time Priyam enjoys reading outdoors, trying new foods and taking every opportunity to spend time with her husband and her dog. Lauren Murphy is a second-year law student and a Co-Chair for ELS. Lauren grew up in the Bay Area and received degrees in Rhetoric (B.A.) and Society & Environment (B.S.) at the University of California, Berkeley. 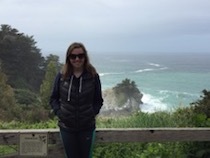 Last summer, Lauren worked at the California Energy Commission. This spring, Lauren will work at the California Office of the Attorney General in the Environment, Land Law, and Natural Resources Sections. In addition to ELS, Lauren is an Environs Environmental Policy & Law Journal Executive Editor, External Vice President of the Law Student Association, and a member of the King Hall Negotiations Team. In her free time, Lauren enjoys running, hiking, cooking, and spending time with family and friends. Bridget McDonald is a second year law student and an ELS Symposium Chair. Bridget grew up in Pasadena, CA and earned her Bachelor's and Master's Degrees from the University of Southern California in Environmental Studies. Before coming to law school, Bridget oversaw the Los Angeles Events and Outreach Department for the national non-profit organization, Best Friends Animal Society. 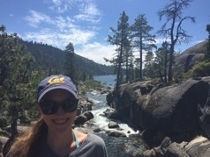 As a law student, Bridget has clerked for the Department of Water Resources and externed for the State Water Resources Control Board's Office of Enforcement. In addition to her role in ELS, Bridget also serves as the Managing Editor for the Environs - Environmental Law and Policy Journal, and as Vice President of the Student Animal Legal Defense Fund. In her free time, Bridget enjoys cooking, indoor cycling, and cheering for her favorite sports teams (namely, the Los Angeles Dodgers, USC Trojans, and Green Bay Packers). Ellen Simmons is a second-year student at UC Davis School of Law and is a Symposium Chair for ELS. Ellen graduated from UC Santa Cruz with a degree in Environmental Studies and has experience working as an environmental planner. During her time at King Hall, she has participated in the Aoki Water Justice Clinic, served as an Executive Editor for Environs, held board positions in three student organizations, and participated in the King Hall Negotiations Team. Ellen spent her 1L summer working for the nonprofit Community Water Center and plans to pursue a career in water law after obtaining her J.D. In her free time, she enjoys backpacking, running, cycling, and baking. Coral Walker is a second-year law student and a Symposium Co-Chair. She also participates in the Environs Environmental Law & Policy Journal and is President of the Student Animal Legal Defense Fund at UC Davis. Coral obtained her Bachelors degree in Evolution, Ecology, and Biodiversity from UC Davis, with minors in Political Science and Archaeology. This past summer, she externed at the Orange County District Attorney’s Office in the Environmental/Consumer Protection Unit. Prior to attending law school, she worked at the Law Offices of Adrienne D. Cohen, an insurance coverage and defense firm in southern California. She is passionate about animal welfare and volunteers with the Yolo County Animal Services Shelter. In her free time, Coral enjoys fostering dogs from the shelter, hiking, and walking along the beach. Justine Massey is a first-year law student and Symposium Committee Member for ELS. She graduated from Stanford University with a degree in Art Practice and was the co-recipient of the Beagle II Award from the Stanford Anthropology Department, producing 3D photos (stereographs) documenting research on medicinal practices in various bioregions of Perú. Justine continued her studies in Buenos Aires, Argentina. She then worked in arts education in Oakland, CA before returning to Argentina and Uruguay for music, murals, and cooperative-living strategies. The people and landscapes inspired her to advocate for natural systems and worldwide communities. At King Hall she is a member of Environs: Environmental Law and Policy Journal, National Lawyers Guild, and Law Cappella. 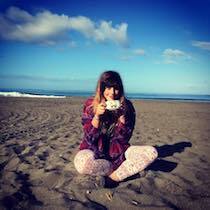 Justine enjoys hiking, organizing art events, and playing guitar. Marissa Fuentes is a first-year law student on the Symposium Committee for ELS. 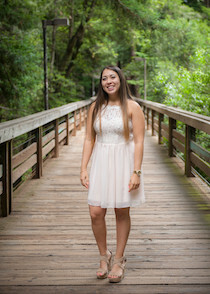 Marissa grew up in Southern California and earned her undergraduate degree in Environmental Studies with a minor in Legal Studies at the University of California, Santa Cruz. During her undergraduate years, Marissa interned at the CA State Legislature in Santa Cruz, CA and at the Environment and Natural Resources Division of the DOJ in Washington D.C. 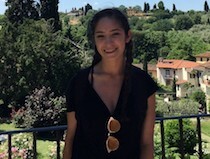 In addition to ELS, Marissa is a 1L editor for Environs - The Environmental Law and Policy Journal, a 1L Committee Member for La Raza, and a member of the King Hall Legal Foundation. In her free time, Marissa enjoys working out, eating, online shopping, in-person shopping, and watching the Los Angeles Dodgers beat the San Francisco Giants. Veronika Morrison is a first year law student and an ELS Symposium Committee Member. She grew up in Orange County and earned her Bachelor's degree from UC Santa Cruz in Environmental Studies. She became particularly interested in environmental justice issues while working to protect a local community garden in Santa Cruz. Before coming to King Hall, she worked for the Ecological Rights Foundation which focuses on using CEQA to intervene in local environmental issues. 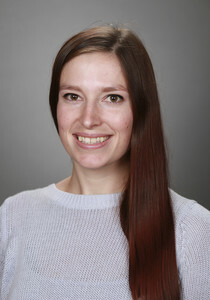 In addition to her ELS position, Veronika is also an Environs 1L editor and a member of HALO. In her free time, Veronika enjoys running, yoga, and going to comedy shows. Brittany Brace is a third-year law student and co-Conference Chair of ELS. She graduated from the University of Nevada, Reno with a degree in Psychology and Criminal Justice. 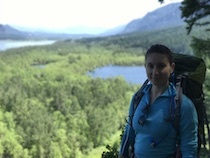 Brittany's interest in the environment coincided with her interest in hiking and nature in general, and has burgeoned into an interest in issues associated with environmental law and policy. Brittany has worked with the State Water Resources Control Board on matters relating to water quality and water rights, as well as a Research Assistant for the Water Justice Clinic regarding environmental justice issues. She is currently working at the City Attorney's office of Elk Grove largely on land use and other environmentally related matters. She is also serving as the co-Editor-in-Chief of Environs, the Environmental Law and Policy Journal. In her spare time, Brittany enjoys singing, running, hiking, and skiing. Danielle is a second-year law student and a Co-Chair of the Conference Committee. Before coming to King Hall, she also pursued a Master's degree in Biosystems and Agricultural Engineering at the University of Kentucky where she researched biofuels production. During her time at UK, she worked with administrators to draft UK's first Greenhouse Gas Emissions Reduction Commitment. She also worked with young people across Kentucky to lobby for state-level renewable energy legislation. In her spare time, Danielle enjoys bluegrass and old-time music, running, and ice cream. Sylwia Dakowicz is a first-year law student and Conference Committee Representative for ELS. She graduated from Lake Forest College with a BA in Economics and Environmental Studies. Sylwia is interested in clean energy law, specifically how it can be made affordable and how using clean energy relates to corporate social responsibility. In Lake Forest, Sylwia wrote her thesis on LEED certified buildings in Chicago and how such a certification creates rent premiums in the city based on social corporate responsibility. Sylwia also serves as 1L Representative of the Student Animal Defense Fund and the King Hall Woman's Law Association. In her free time, Sylwia enjoys hiking, running, and climbing. Emily Roberts is a third-year law student and the web/marketing chair for ELS. Before school, Emily interned at the California Wolf Center in Julian to help reestablish the Mexican Gray Wolf population. 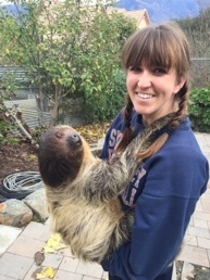 She also worked for Nurtured by Nature, a small facility in Valley Center, California, to help disabled and terminally ill children interact with animals such as otters, kangaroos, and sloths for therapeutic purposes. Finally, she worked at the Dallas Zoo as a mammal keeper where she took care of tigers, otters, and primates. During school, Emily has interned at the Natural Resources Defense Council, the California Attorney General’s Office, the California District Attorneys Association, and clerked for Judge Nunley of the Eastern District of California. 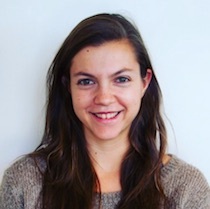 Emily is also an Environs Environmental Law and Policy senior articles editor, a member of Lawcappella, and a member of the Negotiations team. Outside of school, Emily enjoys running, backpacking, ultimate frisbee, line dancing, and spending time with the hubby and pup! Matt McKerley is a second year law student. In addition his involvement with ELS, Matt is co-Editor-in-Chief of Environs Law and Policy Journal. He earned his undergraduate in Physics, Mathematics, and English Literature at Indiana University, and he earned his Masters in Physics from UC Berkeley. After graduating from UC Berkeley, Matt spent the next 20 years as a software engineer and an executive at a large software company in Silicon Valley. In deciding to study law at UC Davis, Matt hopes to channel his passion for the environment into a career in public service. In his spare time, Matt enjoys spending time his wife and two kids, ages 11 and 13. Matt’s hobbies include hiking, camping, photography, and baseball. Bryan Boersma is a first year law student. Bryan grew up in Danville, CA and cultivated a love for the outdoors by exploring Mt. Diablo. 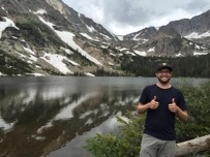 For his undergraduate degree, Bryan wanted to try to go somewhere very different from home, so he earned his bachelor’s degree in environmental science from the University of Idaho. Now, back in California, he is interested in pursuing environmental law. In his free time, Bryan enjoys hiking, mountain biking, reading, and gardening, especially tending to his carnivorous plants. Amanda Saunders is a third-year law student and a General Board Member of ELS. Amanda grew up in Florida and received her B.A. in Environmental Studies from the University of North Carolina at Chapel Hill. 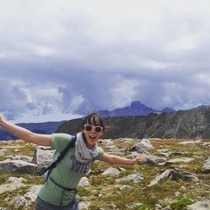 Prior to law school, Amanda lived in Durango, Colorado for five years, where she worked at an environmental non-profit helping local governments with climate action planning and consulted with businesses on sustainability issues. As a law student, Amanda has worked for the California Attorney General’s Office, the Center for Biological Diversity, Shute, Mihaly & Weinberger LLP, and the Natural Resources Defense Council. In addition to her position with ELS, Amanda is also an Executive Editor for Environs Environmental Law & Policy Journal and on the board of the King Hall Negotiations Team. 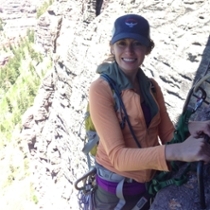 In her free time, Amanda enjoys hiking, climbing, boating, reading, and cooking. Jamie Katz is a third year law student. His passion for working with the land began while helping his dad in the garden. 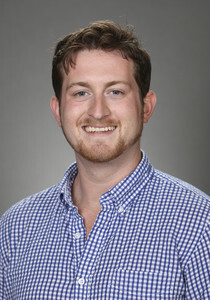 As an undergraduate, he worked for and with farmers and sustainable food distributors to foster relationships between that community and organizations on campus. He later spent two years co-running a food security academy in New Orleans’ Lower Ninth Ward, where he learned with youth and at the intersection of environmental justice, economic justice, food justice, and youth empowerment. 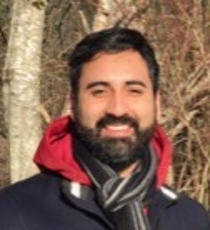 He now works at the intersection of economic and environmental justice, most recently at the Lawyers' Committee for Civil Rights and the Water Justice Clinic. Sam Vice is a third year law student and a General Board Member of ELS. Sam earned his bachelor’s degree in Political Science from San Diego State University. Before coming to King Hall, he worked for Legal Aid of San Diego, and as a paralegal for several law offices in the North Bay Area. Sam's love for spending time outdoors camping, fishing, and exploring trails throughout Northern California has led him to pursue a career in environmental law. In addition to ELS, he is also involved with Environs: Environmental Law and Policy Journal. 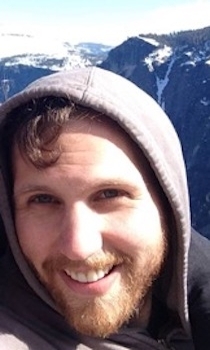 Sam enjoys spending his free time hiking, reading novels, playing sports, and cheering for the San Francisco Giants. Heraclio “Rac” Pimentel is a third-year law student and a General Board member for ELS. Before law school, he studied abroad in Germany and taught English for four years in the Japan Exchange and Teaching Program. Heraclio’s interest in environmental issues bloomed during his time living in Japan. Since coming to law school, he has interned with the U.S. EPA, Office of Regional Counsel, Region IX and the California Energy Commission. Currently, he is participating in the UC Davis Aoki Water Justice Clinic. Heraclio enjoys playing music, hiking, and eating. Chris Moskal is a second-year law student at UC Davis School of Law. He is President of King Hall's Cannabis Law Society and serves as a board-member for the Environmental Law Society, the Water Association of Law & Policy, and the Wine Law Society. This past summer he interned with the San Francisco City Attorney's Office in the Public Utilities Division. Before coming to law school, Chris worked as a mortgage-backed securities trading assistant at Morgan Stanley and attended the University of Maryland Baltimore County, where he earned Bachelors of the Arts in political science and international relations. In his free time, Chris enjoys road cycling, rock climbing, backpacking, and home brewing beer. Kristen Vlavianos is a second year law student and a General Board Member of ELS. Kristen grew up in Stockton and graduated from UC Santa Barbara in 2015. She spent her time at UCSB working on a dual degree in Philosophy and Classics while coaching gymnastics part-time. After graduating, she interned in the San Joaquin County DA’s office and during her 1L summer she worked as a research assistant for King Hall professors. Kristen’s interest in environmental law comes from a love for the natural world which began in her childhood. Outside of law school, Kristen likes to spend her time running, rock climbing, practicing yoga, backpacking, hiking, reading, and watching baseball. Tessa Opalach is a first-year law student and serves as a 1L Representative. She grew up in Arcata, CA and received her B.A. in International Relations, History, and Spanish from UC Davis in 2015. 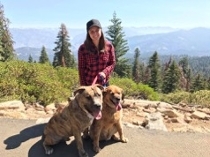 Before attending law school, Tessa worked with a facilitation firm implementing the Sustainable Groundwater Management Act (SGMA) in several sub basins in northern California. She also volunteered with an irrigation and pest management project in rural Bolivia. In addition to her position with ELS, Tessa serves as Symposium Chair for the Water Association of Law & Policy and is a member of Environs: Environmental Law and Policy Journal. Tessa enjoys scuba diving and other outdoor adventures. Brianna Locatelli is a first year law student and a 1L Representative. 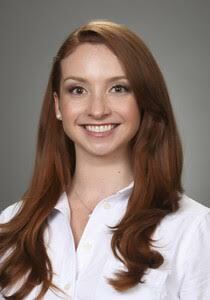 Brianna was raised in Santa Cruz and received her Political Science degree and Paralegal Certificate from California State University, Chico in 2015. While working on her undergraduate degree she held a position as a Paralegal Intern at the Community Legal Information Center where she was able to provide free legal help to the public and helped inspire her aspirations of nonprofit work. She was raised spending a lot of time at the beach, in the mountains, and on her grandparent’s farm which influenced her appreciation of the environment and desire to protect it. At King Hall she also holds positions as an Editor for Environs: Environmental Law and Policy Journal, General Board member for the Student Animal Legal Defense Fund, and General Board member of the student run nonprofit King Hall Legal Foundation. In her free time she enjoys hiking, traveling, camping, attending concerts, and painting.